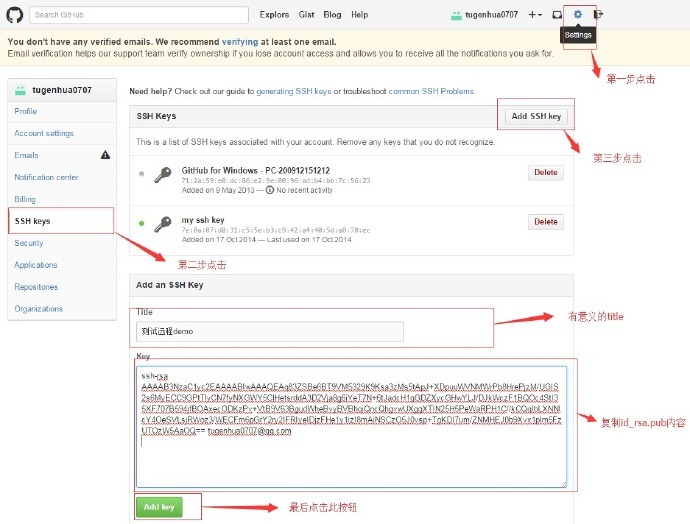 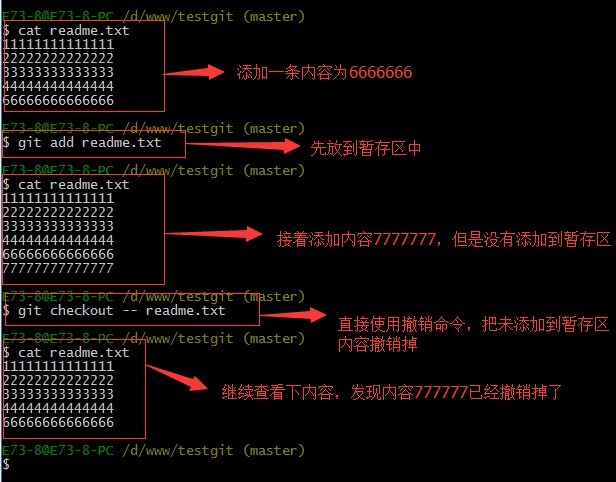 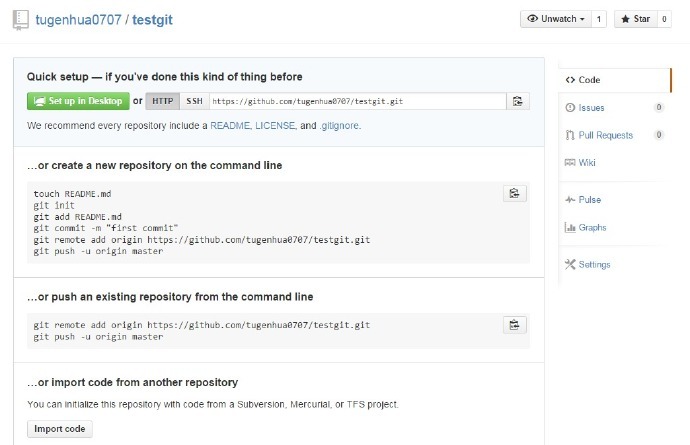 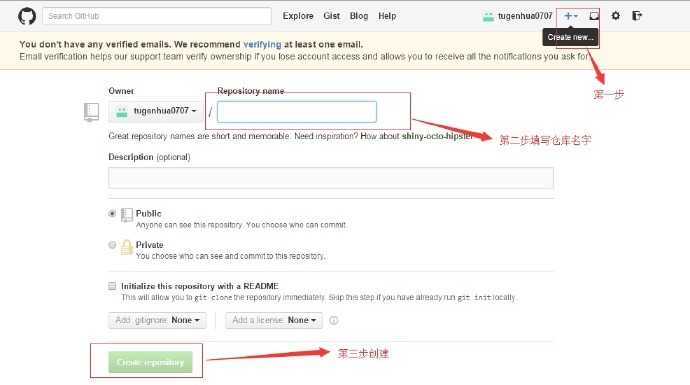 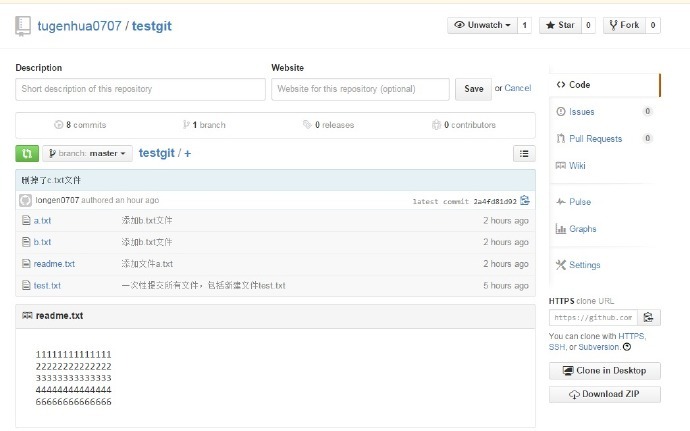 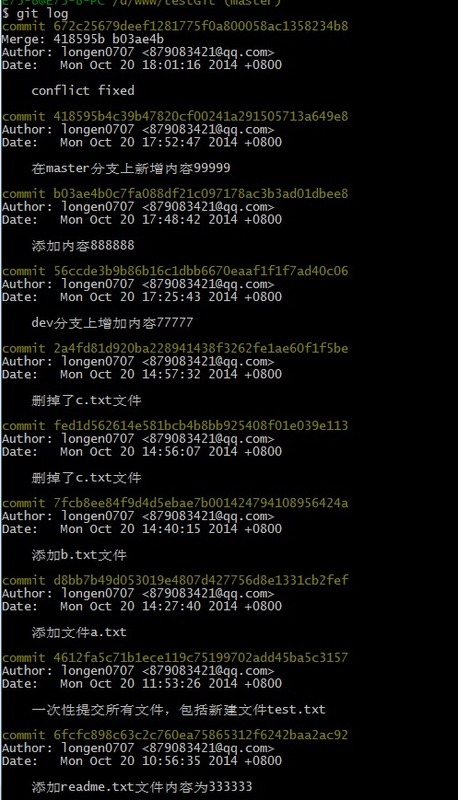 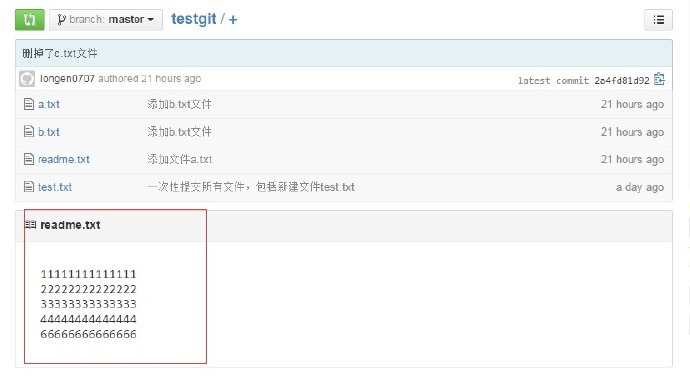 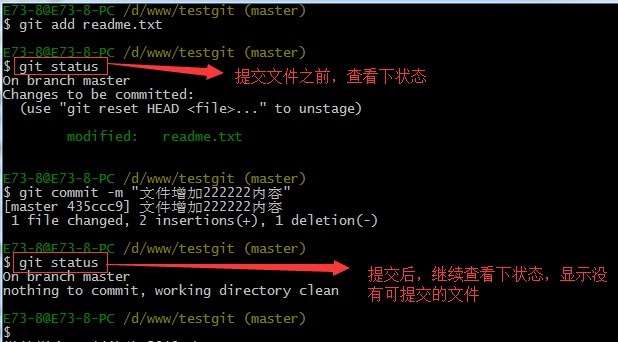 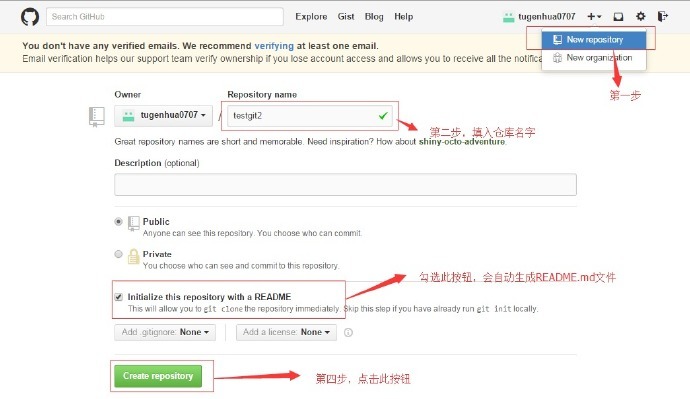 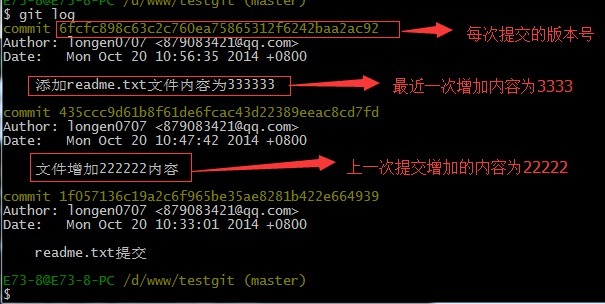 To https://github.com/gefule/test.git ! 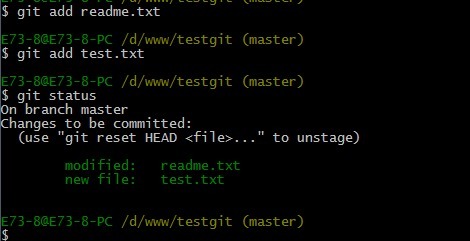 [rejected] master -> master (fetch first) error: failed to push some refs to 'https://github.com/gefule/test.git' hint: Updates were rejected because the remote contains work that you do hint: not have locally. 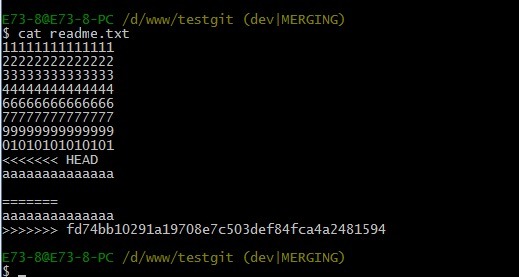 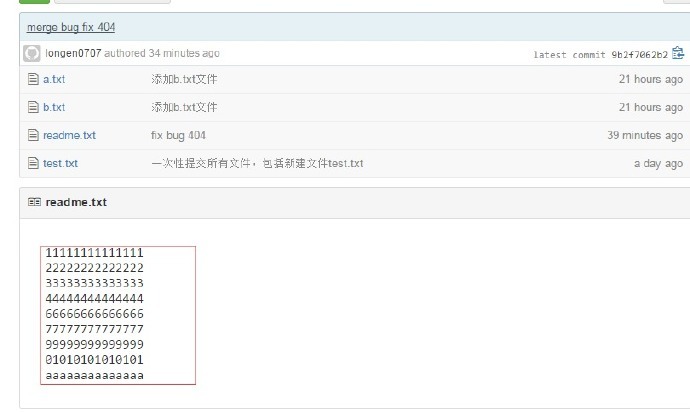 This is usually caused by another repository pushing hint: to the same ref. 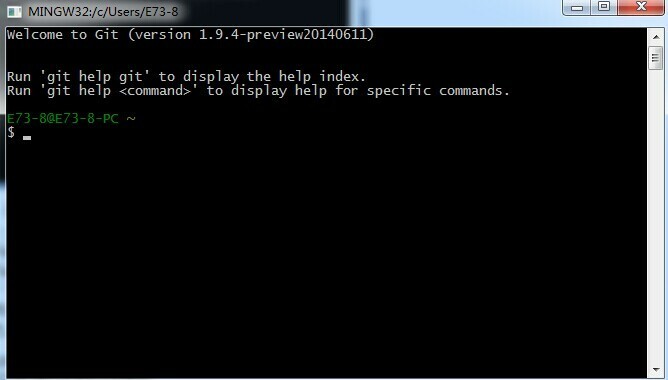 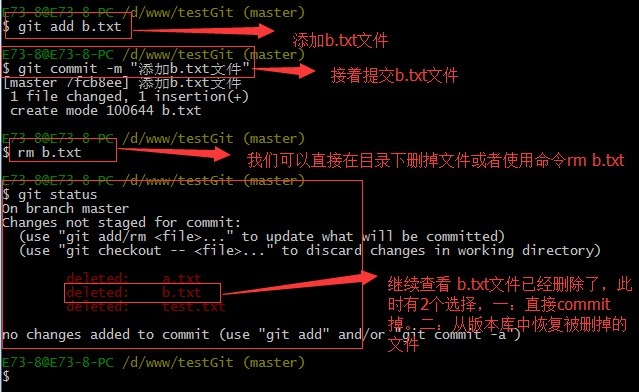 You may want to first integrate the remote changes hint: (e.g., 'git pull ...') before pushing again. 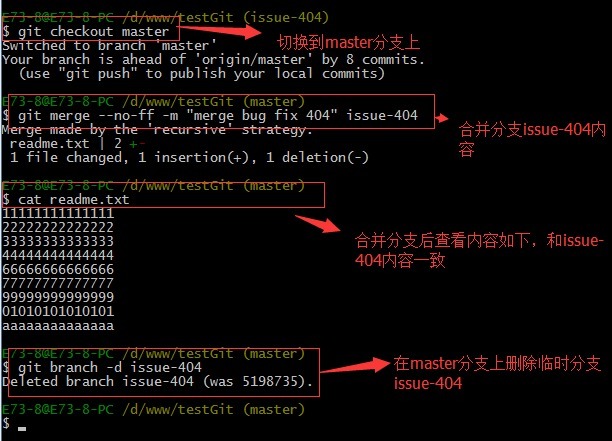 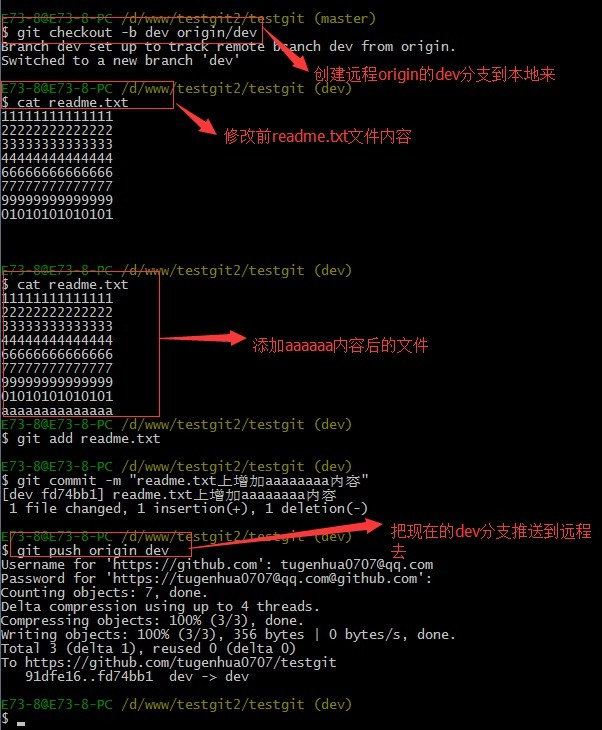 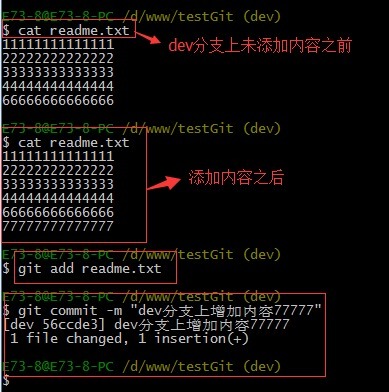 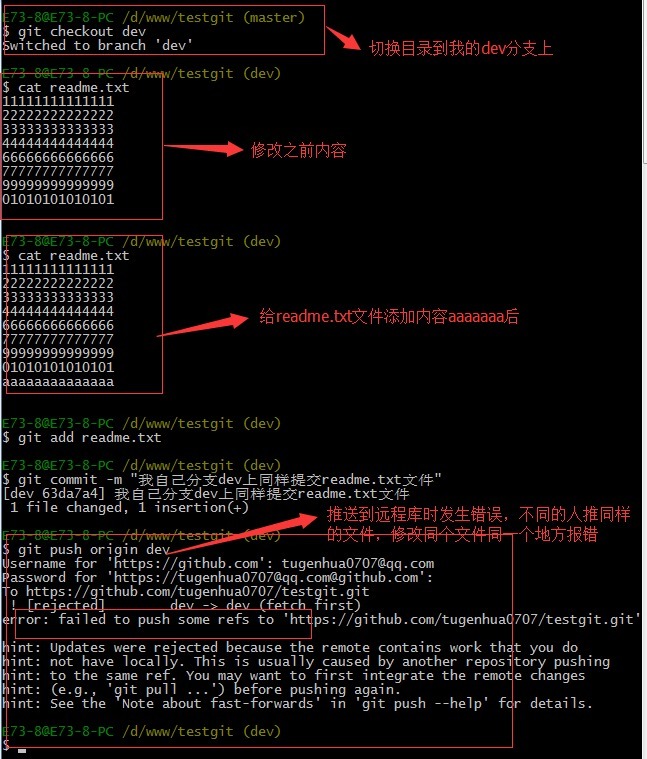 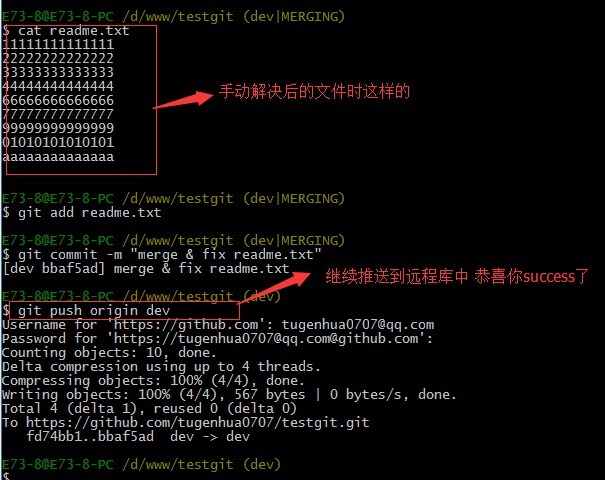 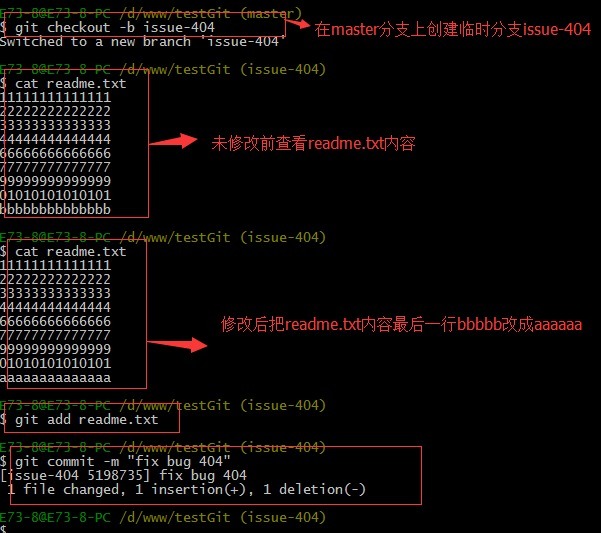 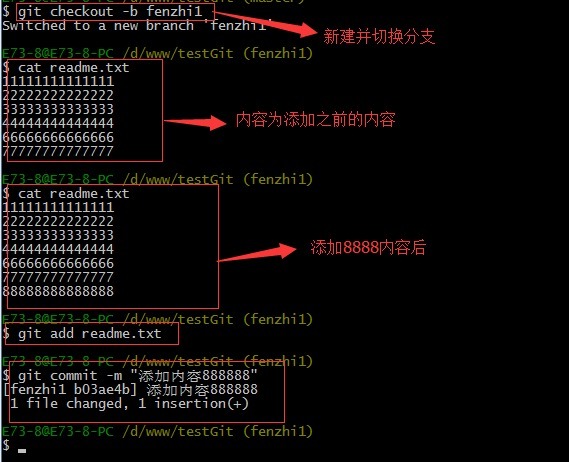 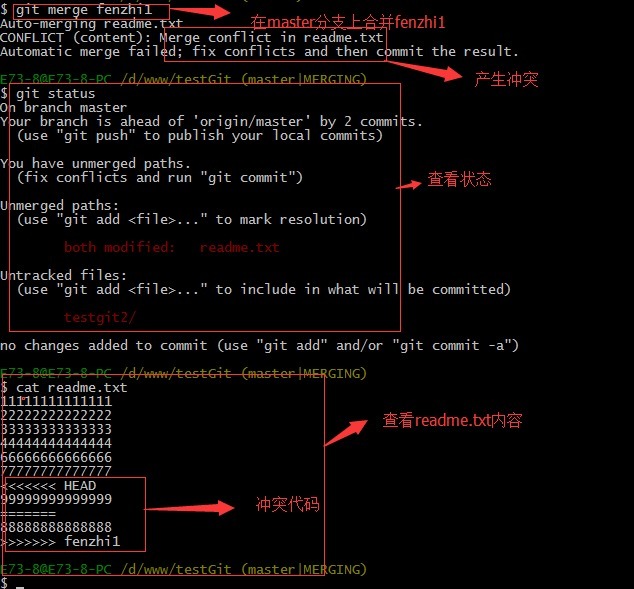 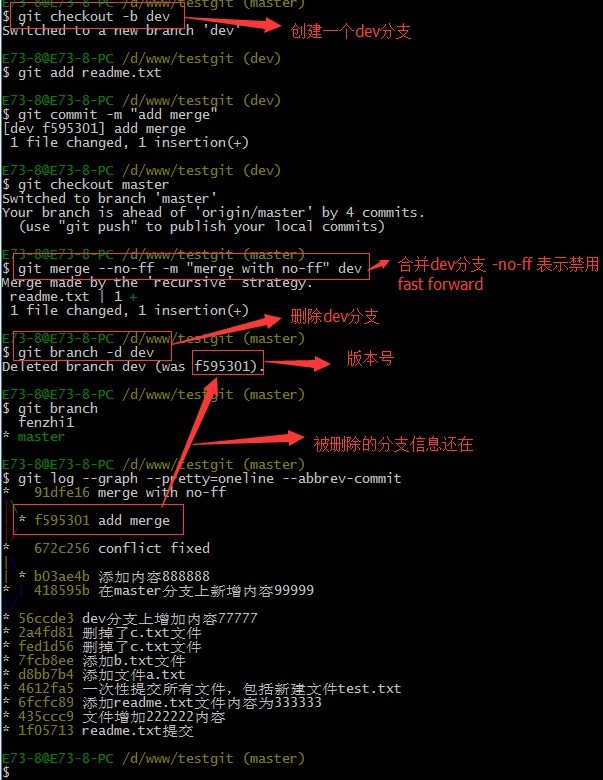 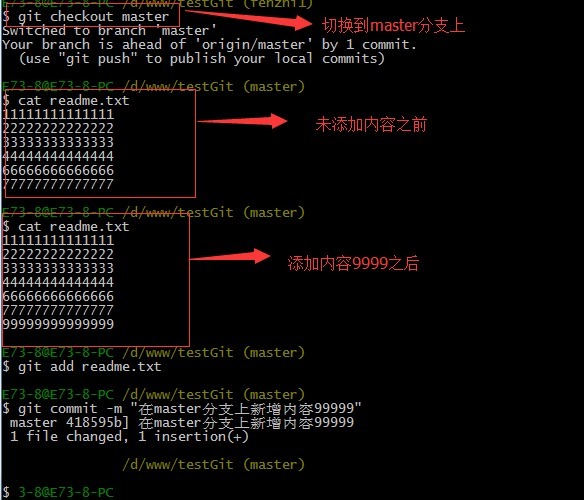 hint: See the 'Note about fast-forwards' in 'git push --help' for details.